7. Location: Award-winning Alpharetta is perfectly positioned between the base of the Blue Ridge Mountains and the vibrant international city of Atlanta. From fast-growing business opportunities to boutique shopping and trail walking, Alpharetta has something for everyone. 6. Lifestyle: The Encore Walk community doesn’t bear the name walk for nothing! Only a short walk is between our luxury townhomes and downtown fun. Easy thoroughfare access, exceptional shopping and dining are the conveniences that make life fun; and walkability is part of the lifestyle we know you crave. Here, you can spend less time rushing around and more time hanging out. 4. Value: At Traton Homes, we keep your high standards in mind every time we put hammer to nails. The result is a community with enduring appeal. That means the best value today, and the opportunity for the best resale value tomorrow. Whether you are single, starting your life with that special someone or beginning a family, our Encore Walk community has what you’re looking for in a home. 3. Experience: Traton Homes is one of metro Atlanta’s oldest home building companies with nearly 50 years of experience. 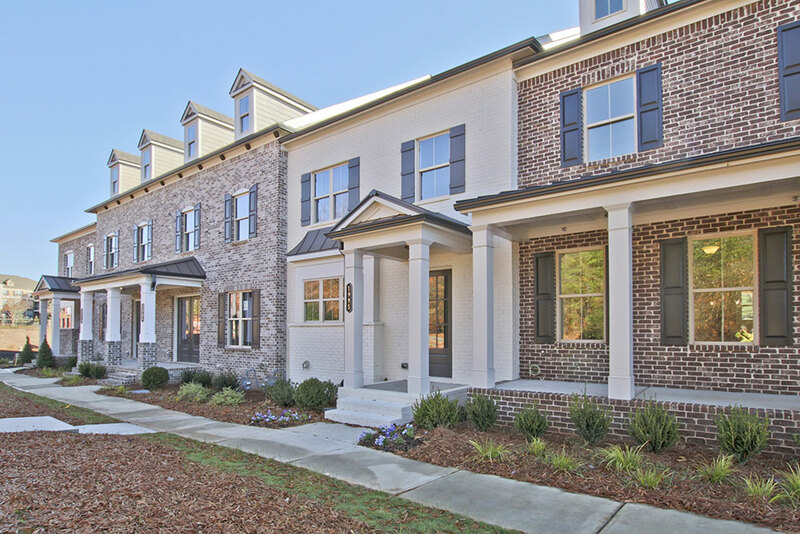 Our commitment to our customers has earned us the Guildmaster Award 7 times for excellent customer service, Atlanta’s Top Home Builders by the Atlanta Business Chronical and numerous Greater Atlanta Home Builder’s OBIE Awards for excellence in building design. We know the area. We know homes. And we know what you want. 2. Details: The proof of a well-conceived, well-built home is in the details. Traton’s Encore Walk townhomes were smartly designed to feature high ceilings, 42” kitchen cabinets, granite countertops, beautiful hardwood floors, and stainless-steel Energy Star appliances. We even have a talented design team to help you personalize all your options! 1. You Deserve It: When it comes to choosing a home, you deserve the best a location and premier builder can offer. Alpharetta allows for activity, adventure and connectivity. A Traton-home in Encore Walk offers a respite at the end of that full day. But it’s more than just a place to rejuvenate – it’s where you come to entertain, share, grow, celebrate and make a treasure chest of memories. It’s where your heart is. And you deserve nothing less. Choose from the final 7 Encore Walk townhomes currently available– prices start in the $390s. Click here for more details about Encore Walk.